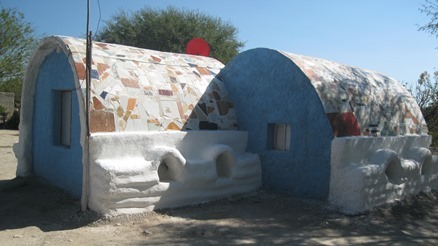 Over the past year Alvaro and his family in El Vaquero SLP, Mexico have really made the Super Adobe house we built for them their own. With recent torrential rains that plagued the area they were able to stay dry and protected from the elements. More and more each day the realize the benefits and become more appreciative of what we have been able to provide. Check out all the latest photos in th photo Album!